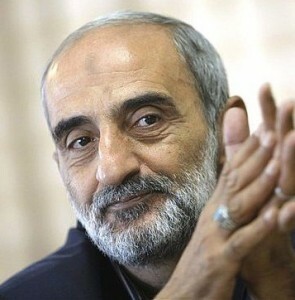 As editor in chief of Kayhan (Keyhan) Newspaper, a position to which he was appointed by Iran’s leader, Khamenei, Hossein Shariatmadari is responsible for advocating for and inciting hatred against the Bahá’í faith and its followers by publishing anti-Bahá’í content. Once again, we refer to the October 2011 report published by the Bahá’í International Community. “During a three-year period, from 2005 to 2008 for example, the semi-official Kayhan newspaper published more than 200 specious and misleading articles about Bahá’í teachings, history, and activities. Kayhan has repeatedly accused Bahá’ís of spying for Israel and western countries, being agents of Zionism, being morally corrupt, and engaging in highly offensive practices. The Bahá’í faith is called a ‘misguided sect’ or ‘deviant’ and ‘cult-like’ in Kayhan articles. No evidence or proof has ever been provided to back these claims and accusations. Bahá’ís are not the only targets of Kayhan‘s attacks. Kayhan acts as a propaganda arm of the regime, consistently supporting and advocating hardliner policies and denouncing any dissenting voices, including those of opposition groups, movements, intellectuals, human and civil rights defenders, women’s rights activists, student rights activists, and minority rights defenders. It is believed that propaganda in the media could lead to increased discrimination against the Bahá’í community, promoting a social context of violence and hatred against them solely based on their religious beliefs.